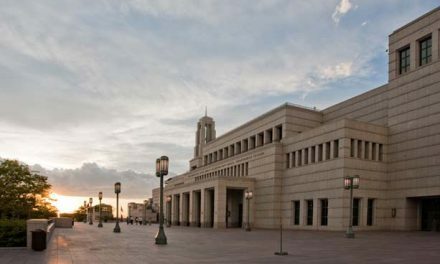 Gordon B. Hinckley and Thomas S. Monson have each given more than 200 conference talks – twice as many as James E. Faust (100) who is third on the list. 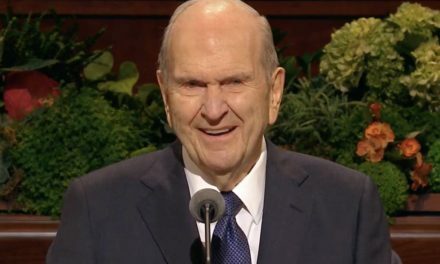 President Russell M. Nelson has referenced scriptures 6,116 times in his talks – more than twice as many as Neal A. Maxwell (2,883) who is second on the list. 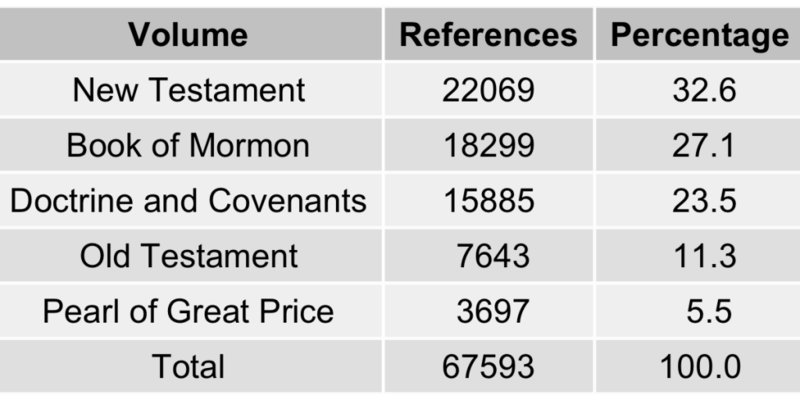 The table below shows how the scripture references from general conference break down by volume. Note that nearly one third of all scripture references are from the New Testament. When we take the data shown above and plot it over time, more of the dynamics are visible. 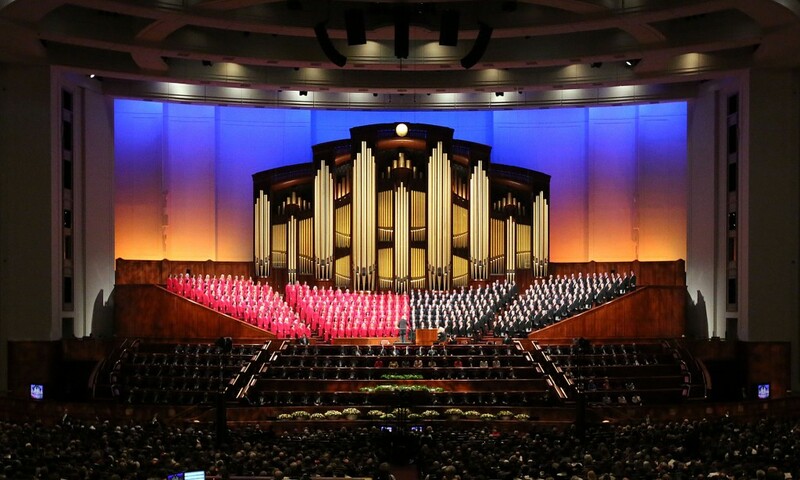 We see that Book of Mormon references have tripled – increasing from 200 per year in 1971 to 600 per year in 2018. 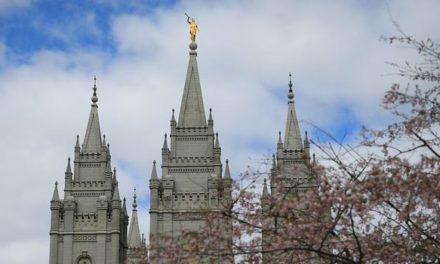 References to the Doctrine and Covenants and the New Testament have also been increasing, but at a lower rate than the Book of Mormon. 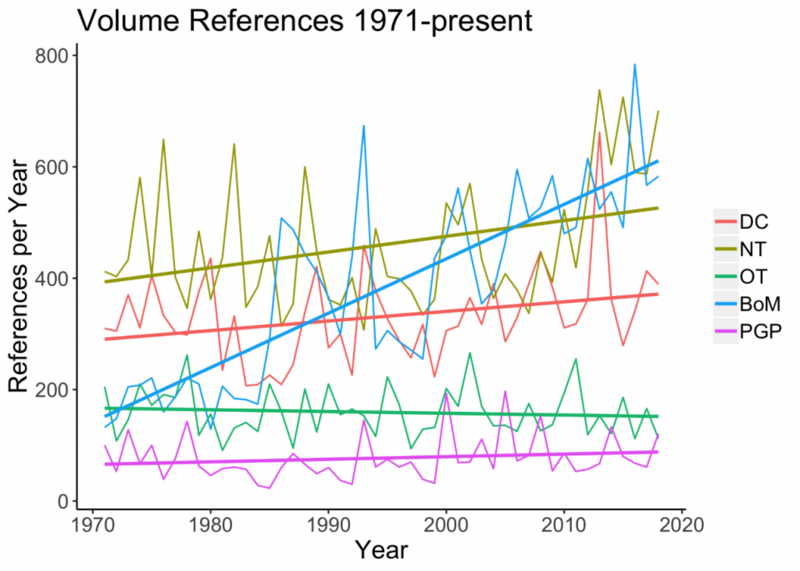 Pearl of Great Price references have been flat and Old Testament references have been slightly decreasing. This is shown in the plot below. As for my guesses: Moroni 10:4 is number 14 and 1 Nephi 3:7 is number 31. 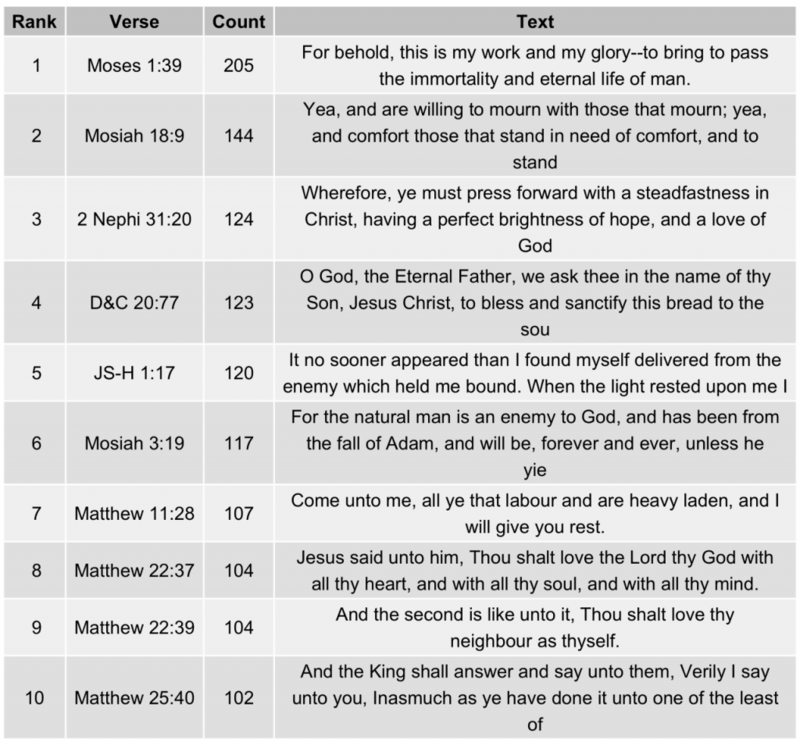 The ten most referenced verses in are shown in the table below.